The armed robbery happened at 6:31 p.m., according to a release from the Warner Robins Police Department. 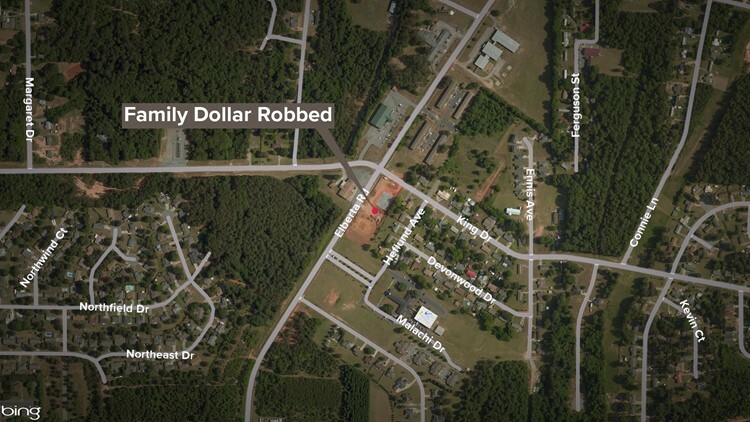 WARNER ROBINS, Ga. — The Family Dollar located at 500 Elberta Road was robbed at gunpoint Sunday evening, according to a release from the Warner Robins Police Department. The release says officers responded to the store around 6:31 p.m. in reference to an armed robbery. A man wearing dark clothing and covering his face entered the store with a gun and demanded money, before running out with some cash. Anyone with information can call Detective Dokes at 478-302-5380 or Macon Regional Crimestoppers at 1-877-68CRIME.